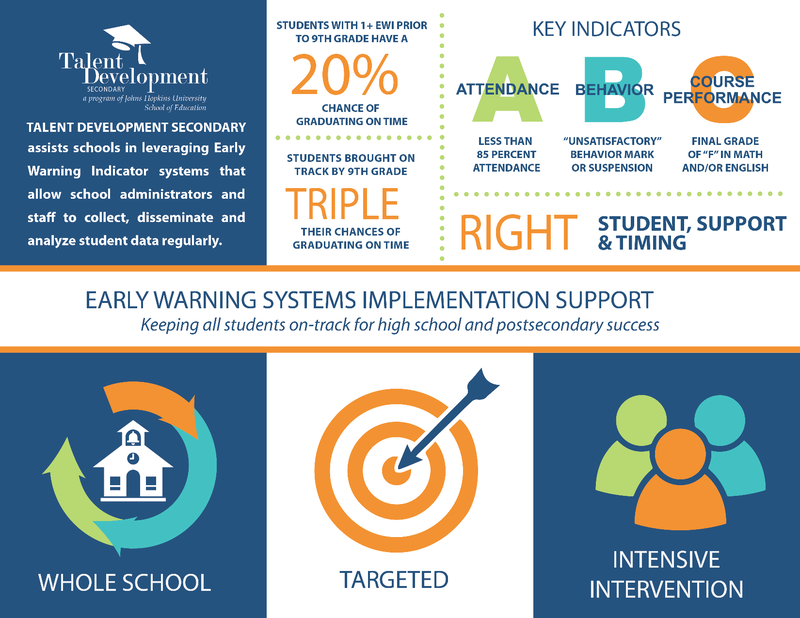 Early Warning Systems (EWS) combine predictive student data with a response system to ensure that all students have the support in order to be on-track to high school graduation and post-secondary success. Built on groundbreaking research by Dr. Robert Balfanz and other researchers, EWS use the predictive data of Attendance, Behavior, and Course Performance to identify and monitor student progress and provide information to help teachers and school staff respond. 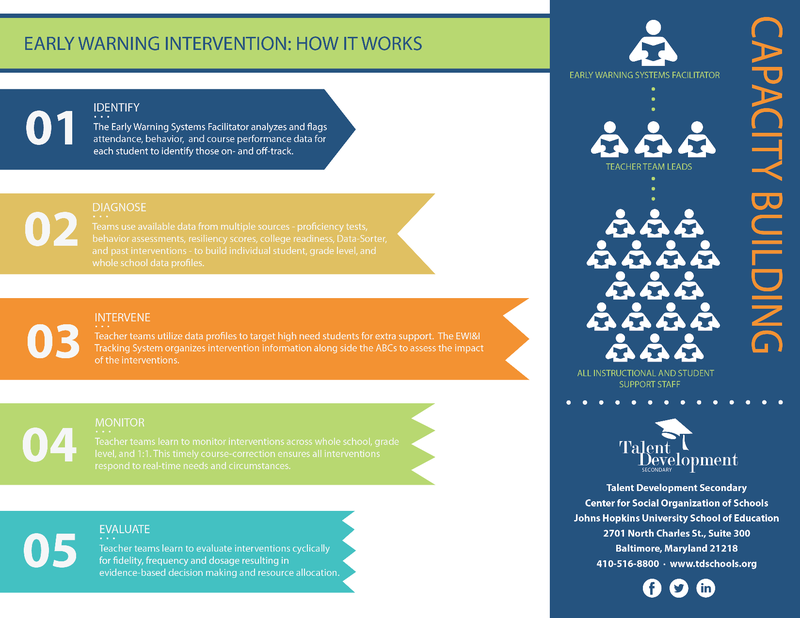 Partner schools work with Talent Development Secondary (TDS) staff to build practices to regularly monitor the Early Warning Indicators (EWI) of Attendance, Behavior, and Course Performance (the ABCs). Together, they implement and develop whole school, targeted, and intensive interventions that help build the culture and environment that prevent students from falling off-track and help students get back on-track for future success. All TDS and Diplomas Now schools build an Early Warning System as part of implementation of the comprehensive approach to school improvement. 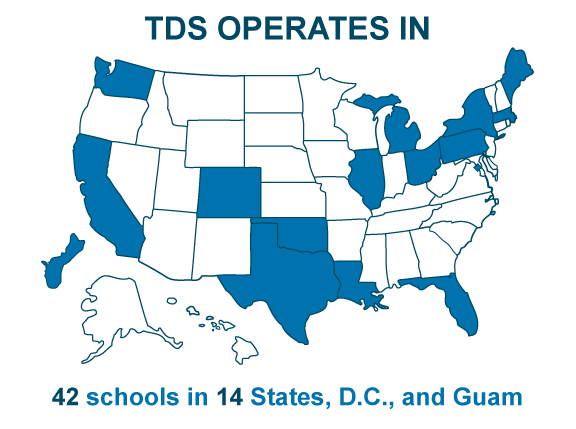 In addition, TDS provides training, guidance, and support for schools and districts who are focused on Early Warning Systems as a stand-alone strategy for improving promotion and graduation rates. Early Warning Systems (EWS) provide teachers an opportunity for collaboration that ensures more individuals are involved in the success of students. The structured EWS process keeps data at the forefront and ensures that student needs are met and impactful work is recognized. Students are provided the environment and support system that pushes them to not only stay on-track for high school graduation, but to continually push towards high achievement. Students discuss with adults what their goals are, are reminded if they start to slip, and are supported so they can achieve at higher levels. TDS offers a variety of technology tools within the Microsoft Office suite to help schools organize and monitor student ABC data, student interventions, and impact.  These tools can be used with a variety of Student Information Systems (SIS) and have modules for commonly used data sources. Many TDS partner schools have incorporated the Success Highways Resiliency assessment into their Early Warning System. This assessment of student resiliency skills provides an earlier indicator of student needs and strengths, as well as helping school staff determine the best intervention or support approach. TDS has incorporated the resiliency assessment from Scholarcentric called Success Highways into its EWI dashboard. The Success Highways assessment identifies six critical resiliency skills that are scientifically linked to improved student engagement, achievement, and graduation rates. They have also designed a resiliency assessment and resiliency curriculum in order to help schools identify and address these needs. Using Success Highways early-warning assessments, educators identify which students are at risk of academic failure and/or dropping out and why they struggle.